Hello! Thanks for browsing on my blog. 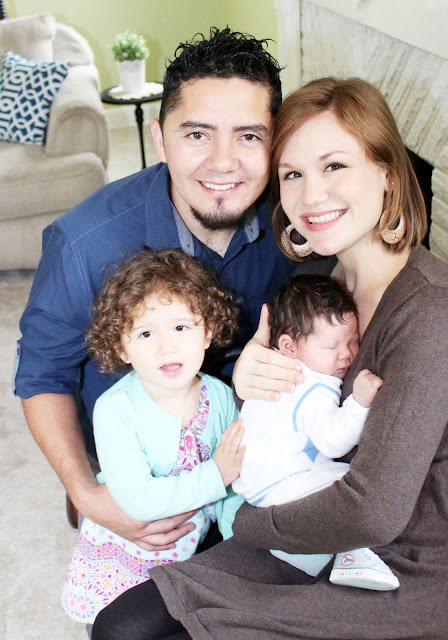 This is me, Kara, my husband, Luis, and our two children, Ellie Sofia and Landon Jose. I originally started this blog years ago, while living overseas, to keep my family updated on our life away from them. It has since evolved into a place to record memories and inspirations. I think of those inspirations as "splashes" that come from the paint of an artist's paintbrush producing delightful color and joy. My inspirations are not my own, but come from the original Artist. The Creator God, who made me to exist for His pleasure. Since we live in a fallen world, I can't always see the hope and inspiration He gives. But when I choose to walk daily in His presence, He opens my eyes to the ways He is at work as the Master Artist all around me. Those are the things I want to capture and zoom in on. I want to record them here as inspirations, as gifts, that He alone gives because He is the Giver of all good gifts.